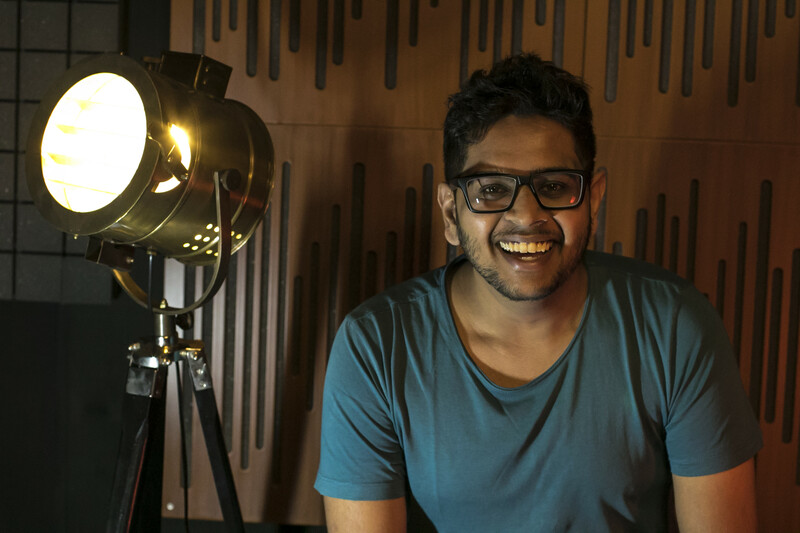 Ashrith Baburao, our co-founder, one half of Audio Units and EMP faculty at Beatworx has been knighted as an ‘Ableton Certified Trainer’ by the German audio software enterprise, joining a carefully selected global list of the most proficient trainers of the software. Ashrith Baburao, at 25 is one amongst 8 in the country and less then 300 in the word to have this prestigious title. Over a decades experience with the music making, he takes us through his creative process and the path that paved him through this journey. 1. How did you get into music production and what was your background with music before that? 2. Tell us a little bit about your journey and milestones over the years. During my teenage years, I was that kid who’d be engrossed by everything but never fully pursued any particular subject. I was least interested in studying and found education to be utterly boring, all of which happened when I discovered computer games coupled with what a powerful graphics card could do. As you may have guessed at this point, I was always interested in technology and kept up with the latest happenings in that sphere on a daily basis. I even ran a blog where I’d write articles on how to get stuff done on the computer, install MacOS on an otherwise not-so-able PC and expand on new software I discovered. I’ve been told I was a quick learner. I gained a big chunk of my knowledge through YouTube tutorials, reading forums and mainly experimenting freely without thinking too much about the outcome. I’ll list down some events that shaped me into who I am today. • Playing back melodies/riffs of songs helped me get a small sense of how music works. • Taking up a keyboard class imbibed a foundation of music theory, rhythm, melody and harmony. • Using a MacBook for the first time changed my perspective on design, simplicity and minimalism. • The shift to Ableton Live was one where we weren’t happy with a remix we thought we completed on Logic. The deadline approached and we were in need of a finished project ASAP. Live did the trick and we never looked back ever since! 3. Most often people look at the tipping point of success but forget to analyse what went into the same, were there any particularly tricky obstacles you encountered and how did you overcome the same? Like any one of us, I’d make mistakes, initially never even realising I’m doing something wrong. Then came a time when I would realise these mistakes, learn from and correct them. This was a slow process that happened over 3-4 years and 100-150 DAW projects later. One might think, even after going through all this and gaining experience and knowledge he/she wouldn’t have much room for error. On the contrary,I turn my mistakes into a learning experience. I would, in fact encourage you to make mistakes and try and learn from them, instead. The biggest obstacle was dedication towards honing the craft. There’s always a lot of distractions. Have a balanced routine, get some good sleep and don’t overwork yourself, unless you want to hear something you wouldn’t like to hear the next morning! 4. What’s your everyday routine like? How do you divide your time between teaching, mixing/mastering projects, composing jingles and producing music for your own artist alias? I then focus on any ongoing client work, round up some general stuff in and around the studio and sit down to focus on making music/experimenting for our own alias. Out of the 24 hours in a day I spend roughly 12 in the studio. On Mondays, I like to chill with my girlfriend/friends completely away from all the studio buzz and come back to work refreshed on Tuesdays. I divide my time based on priority. If there’s impending client work I don’t concentrate much on making music, and when I don’t have much client work, it’s simply vice-versa. Teaching, however, is an integral part of my 5 day week, including weekends. I take off from teaching on Thursdays to focus on our own music and to make tutorials, self learning, etc. 5. Any advice for up and coming producers who are new to Live? Live is a great platform for beginners and seasoned musicians, alike. Personally, I find it interesting to try out a few ideas/jam with Session View, before you actually decide on structuring a song. 6. Take us through how you went about preparing for your interview? I can’t talk much about the interview(s) themselves, as I’m bound by an NDA, but I had to pause everything else to focus on preparing for the certification process. I was both excited and nervous to find out about this programme taking place here (and a big shout out to The Inventory honcho Tanseer Jabbar for going great lengths to get this programme to happen in India). Whatever public information is available about this process, you can check here. 7. What was the certification process like? 8. What are some of the other DAWs you’ve used and what advantage would you say Ableton Live has over the rest? How do you integrate the Push with your set up? I’ve used FL Studio, Logic Pro 9 and X in the past. Each DAW has its own charm. What Live offers is the constant support from their community, particularly the ease of finding education from certified trainers/schools spread across 43 countries offering courses in 31 different languages. I consider the Push a godsend from the Ableton community, an instrument that enables you to become a better musician/performer and to be able to control the software and treat it like a piece of hardware, the way it helps you interact. Its got a gorgeous full colour screen, sturdy touch sensitive knobs, tactile buttons and pads. I use it as the centrepiece in our studio, and on stage alike. It offers unprecedented control over the software, and for most part you don’t even need to look at the laptop/desktop screen while using it. It’s like a chameleon that absorbs from the surrounding environment and fits right in to any situation. I strongly suggest you to give Push a try and see how it can change your process and with it the end results. Max for Live is also a great piece of software which lets you do stuff that’s beyond the scope of a regular DAW. As a veteran one could build audio/visual devices from scratch, make it speak with hardware/software that wouldn’t otherwise communicate with Live. If you’re a musician, one could expand their horizon using devices which generate sequences/melodies/harmonies/rhythm or simply have a alternate perspective on the process of making electronic music. 9. How does this programme benefit you as an educator, artist and a person ? The two of the most fun/challenging/grilling/exciting days that I went through at the certification event taught me some of the most valuable life lessons I’ve learned thus far. It most definitely made me a better human being in an all round sense of it. This programme benefitted me from the time I actually signed up, till the very moment I knew I was a certified trainer and continues to do so, even now! It’s opened up multiple windows on a global scale in terms of being able to connect with other educators/trainers/artists, learn from them and get access to a lot of other benefits that I cannot discuss any further about.